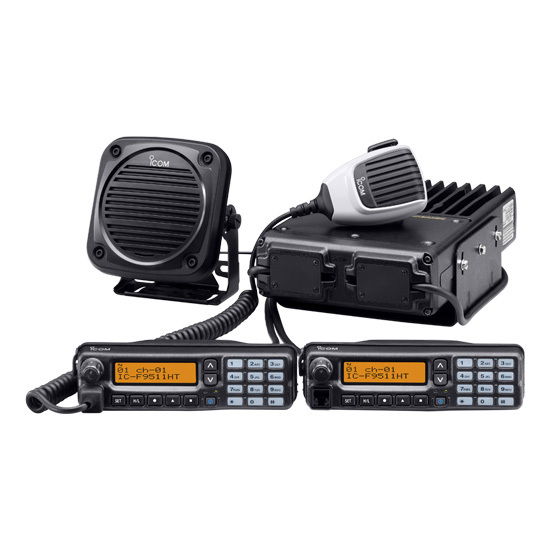 The F9511HT is now listed as P25 CAP Compliant on the FEMA Responder Knowledge Base website. *FIPS Encryption is a requirement for many federal agencies. UT-125FIPS #10 module. Coming soon. endorsement by NIST, which retains exclusive rights to their use. Get ready for P25 conventional, P25 trunking and analog conventional all in one radio with the IC-F9511HT! 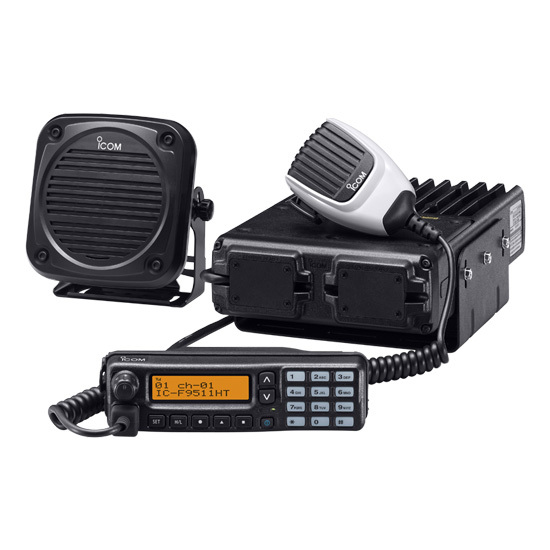 The IC-F9511HT comes with P25 VHF conventional and trunking capabilities. You can assign individual channels to analog conventional, P25 conventional or P25 trunking, all within one radio. The mixed mode operation allows you to detect and receive both analog FM and P25 digital modes and to transmit either mode depending on programming. The IC-F9511HT has a 100 individual ID and 250 talkgroup ID memories. Use the display to visually select the person or group you're going to call. 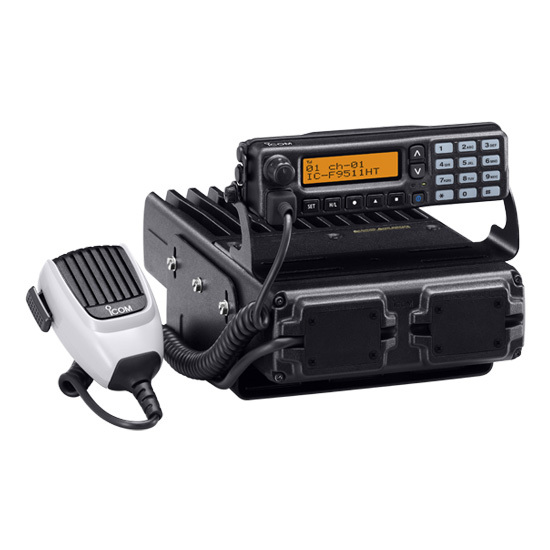 The IC-F9511HT provides AES and/or DES encryption for secure conversation with the optional UT-125 AES/DES encryption unit or UT-128 DES encryption unit. The IC-F9511HT supports P25 OTAR for changing encryption keys over the air. Using the DVSI's AMBE+2™ vocoder, the IC-F9511HT is enhanced vocoder ready. 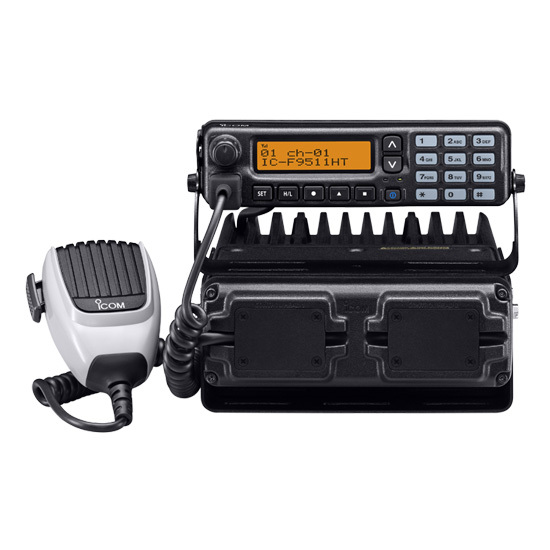 A full 110W of output power is available for reliable long distance communication. A large heat sink provides effective cooling mechanism allowing continuous duty cycle operation (20% duty cycle transmission). While the IC-F9511HT provides 110W of RF output, the RF (main) unit dimensions are only 175 (W) × 60 (H) × 279 (D) mm (6 7⁄8 × 2 3⁄8 × 10 31⁄32 in. ), so the RF unit can be fit into a "letter size" console box. The controller and RF unit have dust-protection and splash resistance, equivalent to IP54. The controller and speaker are separated from the RF unit for flexible installation. A 5m (16.4ft) separation cable is attached to the controller and optional separation cable length is selectable from 1.9m (6.2ft), 3m (9.8ft) and 8m (26.2ft). Up to 512 memory channels can be divided into 128 memory zones, allowing you flexible channel and communication group management. The CTCSS and DTCS encoder and decoder* are also built-in to set up your own talk groups. With a high contrast dot matrix display, upper and lower case characters can be easily distinguished. The display shows 12 characters by 2 lines. LCD backlight is standard. The supplied HM-148G self-grounding microphone has a mechanism for self grounding where a grounding wire is no longer required. 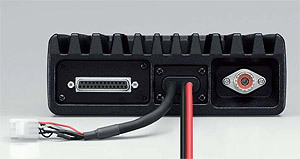 The IC-F9511HT has a 9-pin speaker connector with a 15W (typ.) audio amplifier for connecting the SP-30 external speaker, horn honk and ignition sensing line, etc,. When an external loud speaker is connected, the RX speaker function allows you to relay the received audio over the loud speaker. The IC-F9511HT has a D-SUB 25-pin ACC connector for connecting external devices. It has reserved pins for programming to input operating channels, turn on/off functions and output received audio. The tactical group function allows you to copy memory channels to the tactical zone and temporarily regroup memory channels. Using the optional zone copy cable, memory channels in the tactical zone can be transferred from a master radio to other radios. The dual priority scan monitors two primary channels alternately, while scanning other channels. The mode dependent scan function automatically changes the scan list according to the operating channel setting. The talk back function with timer beep, TX channel and cancel channel settings allow you to preset the transmission channel when you push the PTT button during a scanning operation or cancel the scanning. The radio stun/kill function* disables a lost or stolen radio over the air, eliminating security threats from undesired listeners. The power-on password prevents unauthorized people from turning on the radio. * P25 digital mode only. Newly designed external speaker, SP-30 offers 15W* (typ.) of high level audio with the IC-F9511HT for improved operation in noisy environments. All trademarks are the properties of their respective holders.